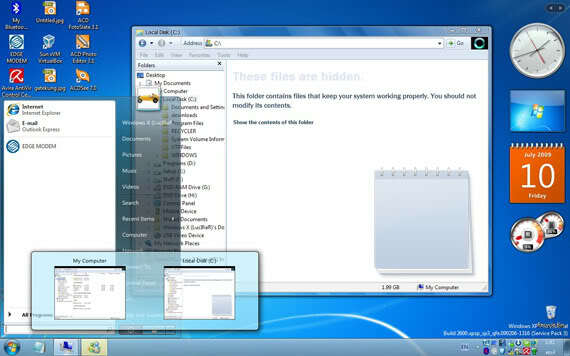 Seven Transformation Pack là phần mềm miễn phí cho phép bạn đổi giao diện của Windows XP và Vista sang Windows 7. Chương trình có thể đổi toàn bộ theme, icon, màn hình boot, màn hình login, âm thanh và nhiều thứ khác. Seven Transformation Pack is a customization pack for Windows XP and Vista users. It can transform your Windows XP and Vista into Windows 7 by installing Windows 7 theme, several icons, boot screen, login screen, sounds and a few eye candy software which provide additional functionality. STP is one of the best transformation packs for Windows users. Its reliable and easy to apply. STP1.0 version was only available for Windows XP users but the new 2.0 version also supports Windows Vista users. So now Vista users can also enjoy Windows 7 look.